Soft Landings – it’s not all about the cake! | BSRIA Blog - Opinions and insights from BSRIA Limited. Soft Landings – it’s not all about the cake! Following on from my previous post regarding the UEA low carbon project I’d like to share our progress with the inclusion of Soft Landings. 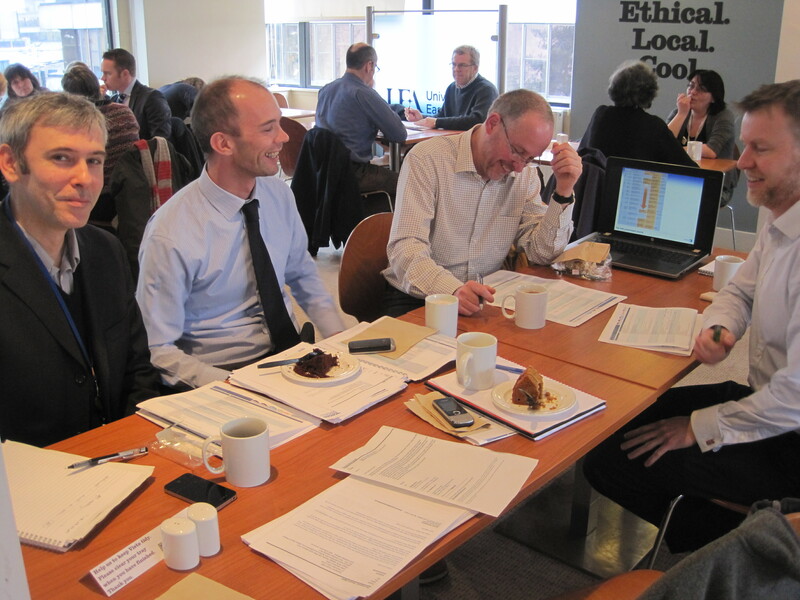 Last week our soft landings champions met for our fifth workshop, habitually in the cafe over some cake. Rod Bunn from BSRIA joined us this time to check that we were still on track, almost a year after he helped me to introduce the soft landings framework to our UEA project stakeholders. We are in Stage 2 of the framework and we are really getting a grasp of what it’s all about, Stage 2 focuses on design development, reviews similar projects and details how the building will work. Over the last two months we held some ‘reality checking’ workshops on various topics and have gathered some great feedback on our RIBA Stage D design. This will be used to shape the detail as we move into RIBA Stage E design. 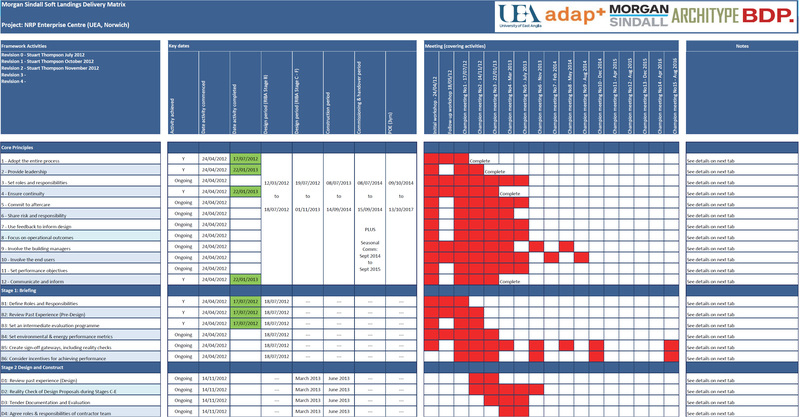 are the BREEAM Outstanding & PHPP figures really relevant to our building users? How do we demonstrate their great value to the users? can we recognise and utilise people’s talents and abilities and identify the environment in which they function most effectively? has the soft landings process captured all of the creative ideas from the wider project team? next meeting. We glanced through a few examples of what the client would like to see. Thinking about this report now (that will be needed in say 2 years time), is an example of how the progressive, forward-thinking approach of soft landings will provide benefit to the client at no additional cost. Our soft landings meetings are productive, I look forward to these, and it’s not simply about the cake! Have you included Soft Landings in any of your projects? What are the challenges and achievements you’ve faced? One Response to Soft Landings – it’s not all about the cake! were available at Rs 2, 700 during October 2011. If Scotland succeeds, the country would seek to develop photovoltaic isolator technologies into a strategic export industry.